This page displays all the advertisements related to walk-in interviews, auctions, buying and selling, official notices and much more. The circulars provide information related to admission, new initiatives events and every important announcement. The tenders include details on specific RFPs for outsourcing, empanelment, advertising agencies, etc. 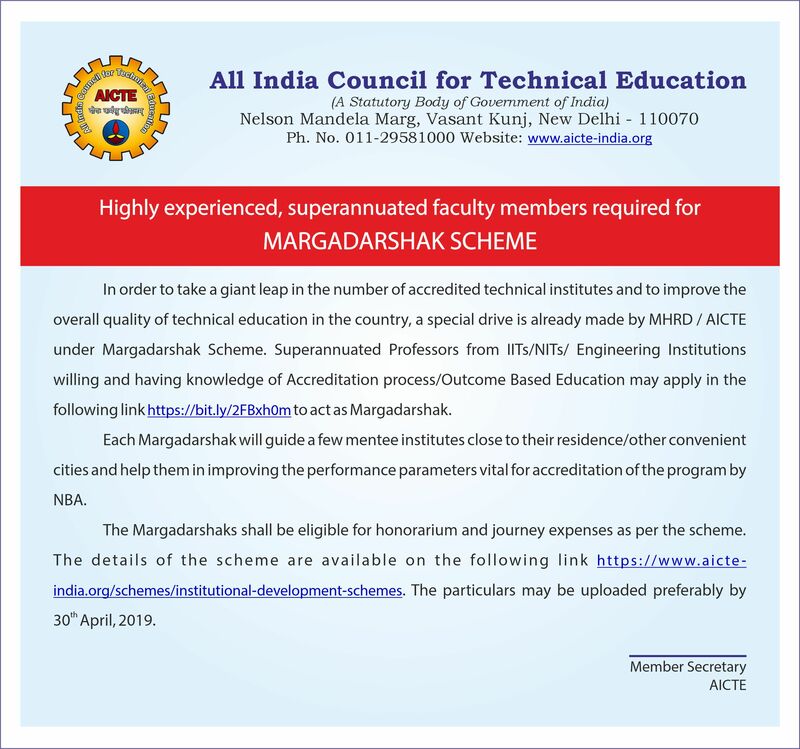 e-Tender for "Kitchen, Catering and Hospitality Services” for AICTE Guest House & Canteen at its Headquarters, Vasant Kunj, New Delhi. 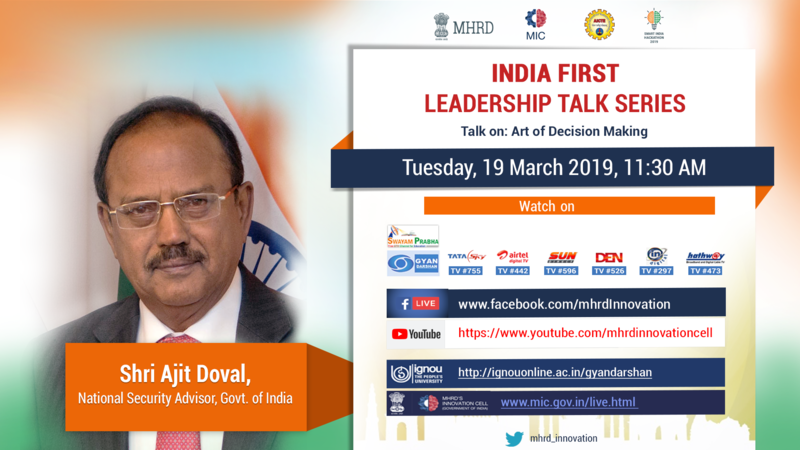 India First Leadership Talk with Shri Ajit Doval Ji, NSA, GoI, will air on Tuesday, 19 March 2019 at 11:30 AM.